The Coalition of Niger Delta agitators yesterday asked President Muhammadu Buhari to resign over non-performance and not living up to their expectations. In a statement, the group claimed that not much had been achieved in terms of infrastructural development in the polity since he assumed the helm of affairs two years ago. Claiming that not a single road project had been commissioned since May 29, 2015, the agitators maintained that the situation is worsened by the president’s health challenges as a group it classified as the “cabal” has taken advantage of the situation to the detriment of Nigerians. The group said it would stage a protest in all the Niger Delta states from September 12 and would ensure a shut down of markets, schools and all other public institutions. The agitators also denied withdrawing their quit notice to northerners and Yoruba residents in the coastal region, insisting that the October 1 ultimatum still stands. Signatories to the statement included: General Ekpo Ekpo (Niger Delta Volunteers; General Osarolor Nedam (Niger Delta Warriors); Major-Gen. Henry Okon Etete (Niger Delta Peoples Fighters); Major-Gen. Asukwo Henshaw (Bakassi Freedom Fighters); Major-Gen. Ibinabo Horsfall (Niger Delta Movement for Justice); Major-Gen. Duke Emmanson (Niger Delta Fighters Network). And the president yesterday in Daura, Katsina State, assured Nigerians of his continuous commitment to serving the nation, attributing his recent convalescence to a divine act of the almighty God. He gave the assurance while receiving a delegation of associations of farmers, businessmen, youths, elders and politicians from Katsina at his country home. A statement by the Senior Special Assistant on Media and Publicity, Garba Shehu, yesterday quoted the president as saying that he returned to the country with renewed hope and strength to pursue policies that will improve the livelihood of the people, and reposition Nigeria for good. According to the president: “Considering the challenges we are facing as a nation, we have been doing our best to provide sustainable solutions, and we will keep doing our best. “I am happy you came here today, and I am thankful for all the prayers. You are leaders of various groups at the grass root, and you are closer to the people so you understand these problems as well. We need your support,’’ he said. Also, Senator representing Kaduna Central, Comrade Shehu Sani, has advised President Muhammadu Buhari to disinfect and fumigate his cabinet of those he described as ‘Lions, Hyenas and Jackals’ holding his administration to ransom. Sani who made the call in Kaduna, said that there are some individuals in presidency pursuing selfish interest other than that of the president who should be eased out. He called on President Buhari to take proactive stand by reshuffling and engaging capable hands to assist in delivering the promises he made to Nigerians. His words: “Everybody knows who the Lion is. As regarding the Hyenas, Jackals and wolves, I think I will leave that for Mr. President to mention. But in general terms, these are the elements within the cycle of the presidency that have personal interest other than that of Mr. President. And they are called in broader sense as cabal. These are the mafias that exist in the presidency. “Mr. President should fumigate and disinfect presidency in the general interest of his own government and also the country as a whole,’’ he added. 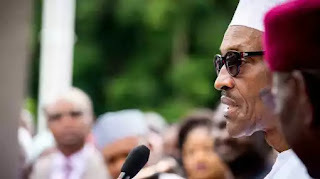 Meanwhile, the General Overseer of the Word Bible Church, Prophet Julius Kumoluyi, has advised the president to see criticism as a necessity for his administration to succeed, especially the ones by the opposition, Peoples Democratic Party (PDP). Kumoluyi said criticism or opposing views are the bedrock of democracy, saying the criticisms will help the government do a critical appraisal and adjust when necessary. The preacher who stated this at Igbara Odo yesterday after a three-day prayer, said it would be counter-productive for Buhari and his kitchen cabinet to label those criticizing him as enemies of government. The preacher who applauded Buhari on his administration efforts to rid the country of corruption, was however pessimistic on the ability of APC led administration to eradicate corruption in a country like Nigeria, regretting that the menace is deeply entrenched even in the hearts of most Nigerians. He said the greatest corruption is in the churches where everyone now claim to be called by God and yet defraud their followers. Kumoluyi, who said God has answered the prayers of Nigerians on the issue of President Buhari’s health, urged the citizens to continually pray for the president, describing him as the only president who exhibited zeal to tackle corruption by all means. He commended Vice President Yemi Osinbajo on his loyalty to Buhari and his scintillating performances when he was the Acting President, saying these had established the fact that he is a real man of God.